This past borrower just became a repeat borrower of Capital Fund 1! 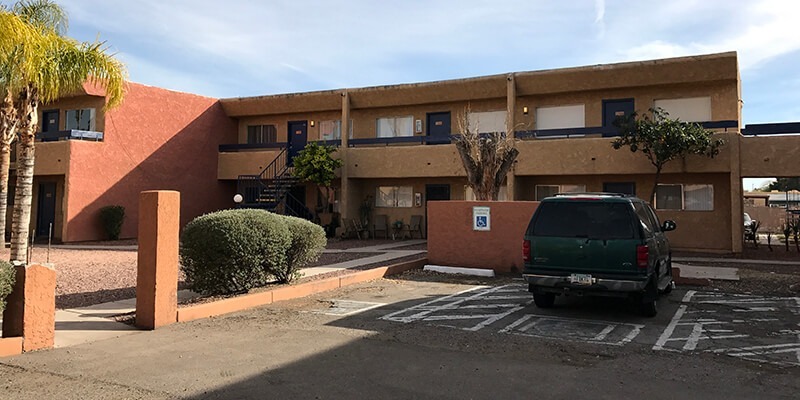 Our borrower needed financing to renovate their 61-unit multifamily property in Tucson, as well as money for the acquisition of the property. These borrowers are experienced in updating multifamily complexes to increase occupancy of the buildings in the Tucson area. Our borrower plans to go in and do a total overhaul of some of the rooms, others require new appliances, and a few of the rooms just need new carpet and paint. As for updates that might not be as visible as new appliances or paint, our borrower will individually meter each room, adding value to the property for when our borrower sells it, as well as updating the HVAC system. Though some rooms are ready to rent out already, our borrower wants to plan for the future and have the rooms brought up to more livable standards. With the property’s location, just a short drive from grocery shopping, schools, University of Arizona, and the I-10 and 77, the borrower will be able to turn this property into an ideal housing opportunity for young families, professionals, and students alike. Once the borrower is ready to move onto their next project, they will sell the apartment complex to another real estate investor in the market for an income property. Tucson has been a hot market in 2017’s first quarter, and it was even predicted to be in the top 10 metro markets for real estate this year. We have even seen more activity in the past few months with single family residential as well as various commercial markets picking up speed in Tucson.